This striking, and very unique piece by Kate Spade could be perfect for your wedding day. 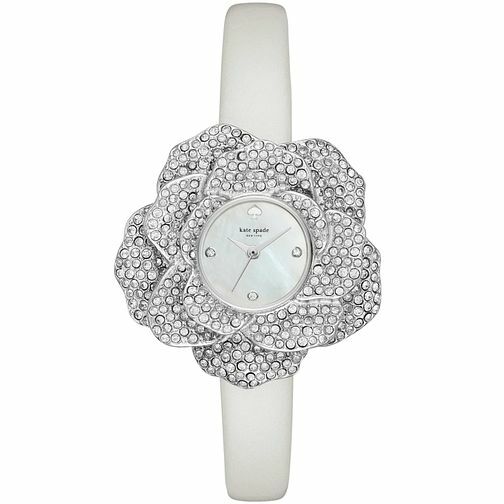 It features a round stainless steel case, surrounded by a three-dimensional silver-tone, rose-shaped case set with pavé crystals, silver-tone spade at twelve o'clock, silver-tone indices, three hands and Kate spade new York logo, along with a whiter leather strap. It is powered by Quartz movement and is water resistant to 30 meters.